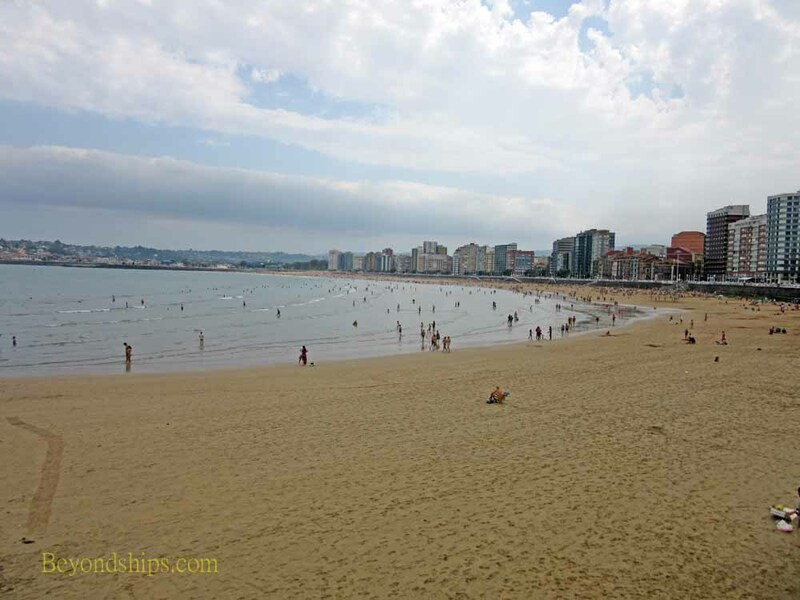 A city facing the sea, Gijon has three large beaches in the center of the city. 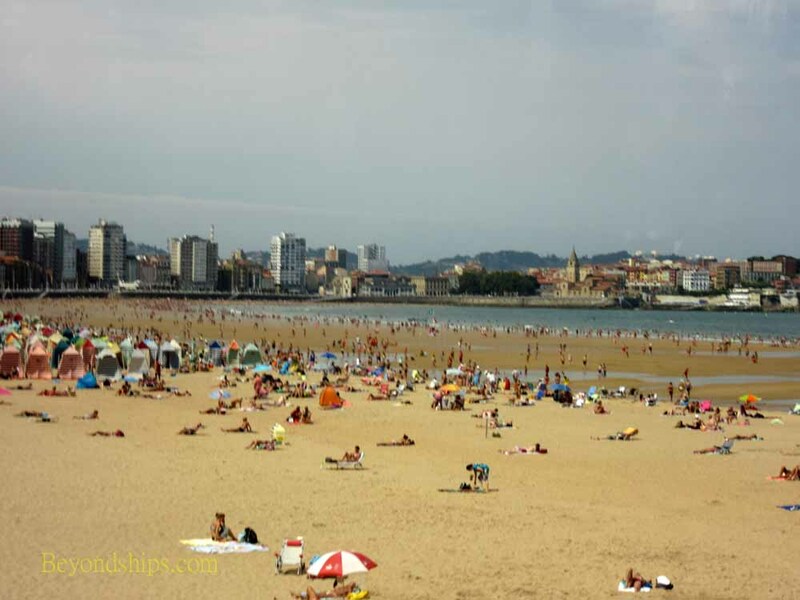 All three beaches border the Bay of Gijon. The best known and most popular of the three beaches is San Lorenzo. Indeed, it has been called the “most popular beach in Spain.” A crescent of golden sand 1.5 km long, this beach can be quite wide at low tide and quite narrow or non-existent in places at high tide. Cafes, restaurants and shops lie along the street in back of the beach. To get from the El Muro promenade that lies atop the sea wall that borders the beach, take one of the 20 staircases that are spaced along the promenade. During the high season, there are lifeguards at San Lorenzo. Umbrellas and beach chairs can be rented at this beach. There are also facilities for surfing and sea kayaking. 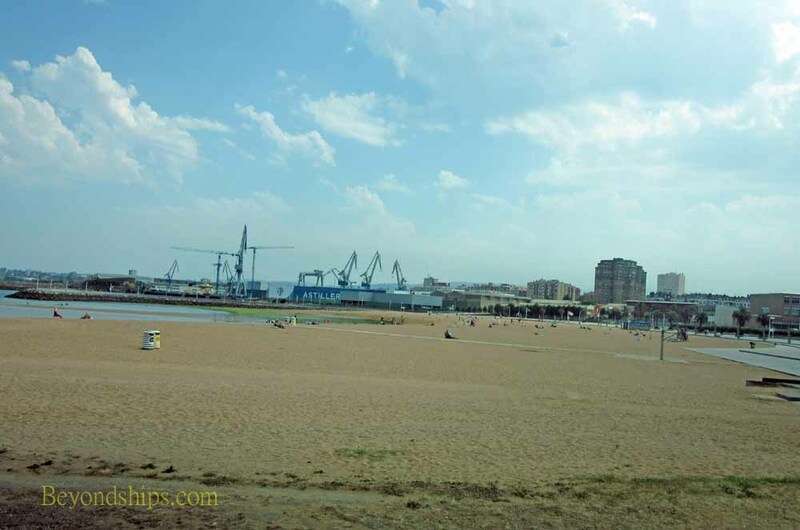 Poniente beach (also called Natahoyo) was created in 1994 out of an industrial, shipyard area. The creation of the beach has led to something of a renaissance in the neighborhood bordering the beach. A wide promenade borders the beach. It has showers and other amenities. In the high season, there is a lifeguard service. This shell-shaped beach is about one third the size of San Lorenzo. 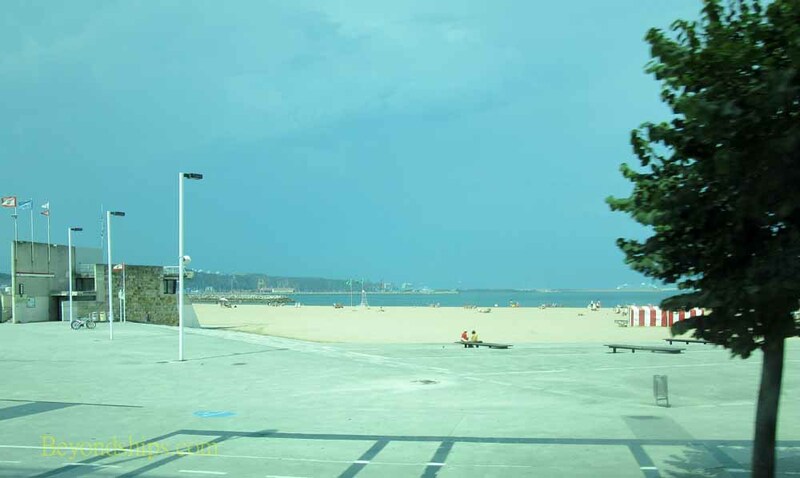 The third beach is Arbeyal, the western-most and smallest of Gijon's beaches. Arbeyal underwent a renewal project in order to rejuvenate the industrial neighborhood that bordered the beach. Arbeyal too has a wide promenade bordering the beach. It is also equipped with various sports facilities. There is a lifeguard service during the high season. Above: San Lorenzo beach from its eastern end.